President Donald Trump applauded the efforts of state legislatures that are seeking to return classes about the Bible to public schools. “Numerous states introducing Bible Literacy classes, giving students the option of studying the Bible. Starting to make a turn back? Great!” Trump tweeted on Jan. 28. 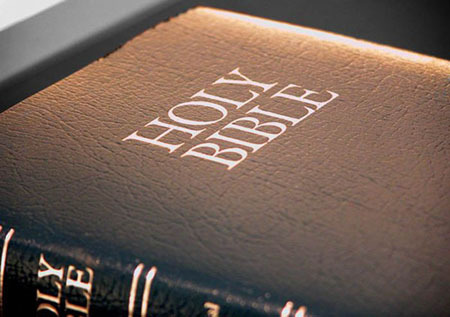 Lawmakers in Republican-controlled state legislatures in Florida, Indiana, Missouri, North Dakota, Virginia and West Virginia are pushing for legislation that would allow public schools to offer elective classes on the New and Old Testaments. Alabama and Iowa have also considered Bible literacy bills, but the measures were voted down, according to Fox News. In Kentucky, Republican Gov. Matt Bevin signed legislation in 2017 to allow public school students to take Bible and Hebrew scriptures classes. The Bible class “didn’t turn me into a non-thinking, Bible-thumping, daisy-distributing religious nut. It didn’t even spark interest in God at the time, to be honest,” Chumley wrote.